I’m sitting in an Eat n’ Park in New Castle, PA about to get some supplies for Pennsic. Pay no attention to the fact that Beer 4 Less is across the parking lot. People often say that coming to Pennsic is coming home. I get that, but to be honest, after all this time coming here, I find that New Castle is a big part of that. It’s a rust belt town, with all that entails. Still, there’s some amazing buildings here, including a stone house I’d love to someday be wealthy enough to save. I look forward to Pennsic for different reasons now than the first time I came. I no longer look forward to the big battles like I used to. Now what I enjoy is a couple of weeks of a great work space, writing and selling in Calontir Trim. I greatly appreciate that Master Andrixos gives me space in his booth to write and sell. I get good traffic, plus I can sit and write in a work environment. In many ways, it’s the closest thing to an office environment I have. I’m sure those of you who work in offices every day are looking at me like I’m crazy, but I haven’t really had a 9-5 job in fifteen years or so. I kind of like having the schedule for the time I work here. Maybe I am crazy after all. Anyway, speaking of work, I need to finish a short story today. Ah, the joys of restaurant music. This week’s song is “Lotta Love” by Nicolette Larson. There’s a lot of great music from the 1970s. This isn’t necessarily one of them. I return to Master Andrixos and move to a much better song for this week’s quote. He is in the process of moving to be with his stepdaughter and (any moment now) grandbaby. He’s been a fixture of Calontir, and he’ll be missed. He moved away for a bit for work a while ago before coming back, and at at the time wrote a song that seems like the perfect source for this week’s quote, especially since we’ll sing it quite a few times this war. “Farewell, my companions, my comrades from birth. Well tested swordsmen who wander the Earth. First, welcome to all the new subscribers. There’s quite a few of you from LibertyCon, InConjunction, and OComicCon. Thanks for joining in to my little corner of weekly madness. Well, it’s usually weekly, scheduled for every Thursday. However, this is actually last week’s update. Also, this week’s update is going to be a little late. I’ll probably do it on Saturday at Pennsic since most of Thursday will involve hundreds of miles of interstates between here and there. Why am I late this week? Well, mostly because I spent the last week nesting and organizing. Some of that is because my Mom gave me a new desktop computer for my birthday. I’ve needed one for a while, as my old system no longer could keep up with my typing speed. Thanks, Mom! The new system also allows for up to 4 monitors, and I’m in the process of figuring out how to use all of them. I also spent the week organizing a variety of data, including some old CDs I uncovered while unpacking. I found a bunch of pictures from my 2006 trip to England and Macedonia that I thought I had lost. I’ll post some of them one of these days. You might even get to see pictures of Achrida as I remember it. I’ve also been nesting and organizing since the move. Thanks to Johan and Tigernan, the house is now merely a home with some clutter as opposed to a storage unit with showers. Part of the challenge has been to replace as much of the carpet as we could before moving stuff on to it. We’ve replaced it with bamboo flooring. I can’t recommend this stuff enough, at least up to this point. It’s cheap ($1.69/sq ft), looks good, and has already shown to hold up pretty well. We got the heavy stuff, 5/8 inch, and it has a solid feel to it that thinner laminates don’t have. Anyway, we have cool new floors in the TV rooms and office, which we are really enjoying. Then, yesterday, Tigernan came over and moved box after box to get stuff at least to the right floor. The garage is now open and useful again. All of the furniture, with the exception of Giulia’s desk, is in the right place for now. Also, there’s a huge pile of trash that Olathe will take tomorrow and be gone. Much of this is stuff from the storage shed, which he took up front. I am, for the first time since I moved to Olathe in 2011, truly organizing my workspace. It’s nice, especially since I want to be more productive going forward. Eric Clapton and Stevie Winwood’s live version of “Can’t Find My Way Home.” One of my all time favorite songs. Today is the birthday of John Rutsey, the original drummer of Rush. He only played on their debut album, so today’s quote comes from that album. No spotlight this week, as I have been focused on other things. However, I have some neat ideas for Pennsic if we can make them work. InConjunction went reasonably well. I didn’t sell as much as I’d hope, but I made some new connections that could be very useful. I also really enjoyed my panels and spending time with Jon Osborne, who was next to me. Still, I was really glad to get home. I am not as enthralled with 11 day trips as I once was. This is especially true since I knew there was work to do on unpacking. This week has not been terribly productive in terms of writing. I’ll have to focus on that next week. However, it’s been a productive in other ways and been an enjoyable week. My apprentice came down for a few days. She helped us unpack, organize, and joined us on a variety of errands. The best part, however, is that I had planned to visit Finola, the Fyrd Mom and founder of Calontir’s Soup Kitchen, to read a portion of Brief Is My Flame. This portion was the one where I first describe the character I based on her. Her daughter Jenna provided chicken soup and cookie dough, traditional Soup Kitchen choices, and told some stories of Calontir’s past. I had a great time as was very happy the apprentice was with me. We also did some nesting. The floor in the main portion of my office was completed on Tuesday, so we got to move in the two big bookcases I planned to put in here. We also moved in a bunch of things, and unpacked most of the old SF/F magazines that I own. I’m putting them in here because I’ll be reading one of them a week and writing a blog post to review them starting in late August. This week, I’m off to OComicCon. I’ll set up tonight and we’ll see how this show goes. I’ve never been here before, but I think I’ll do well. Right now, it’s the “Canadian Railroad Trilogy” by Gordon Lightfoot. I enjoy this song for a variety of reasons, but as a writer I’m amazed at how much he packs into every word. Great song. On 12 July, 1862, Congress authorized the establishment of the Medal of Honor for the US Army. So, today’s quote comes from Alvin York, who won the Medal of Honor for taking a machine gun nest. This quote came from his memoirs. This week’s spotlight is on J.L. Gribble. You can find my interview with her at http://robhowell.org/blog/?p=1237 and you can find her website at https://jlgribble.com/. I met J.L. Gribble on a panel at ConFluence last year and we had a very good time. I love writing books that I want to read. For too long, the publishing industry has determined the trends and fads, so I love that my small press lets me experiment with my fiction and tell stories that don’t fit nicely in any one genre. Romeo and Juliet with werewolves and weredragons? Time travel with a twist? 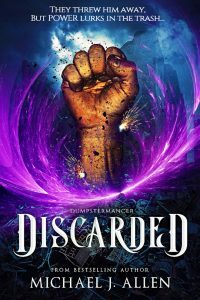 I’m free to stretch the limits of my imagination, regardless of whether such things are “not done” in the urban fantasy genre. For a long time, my favorite color was blue. I was never a girly sort of girl, so I felt that acknowledging my love of purple would be a betrayal of things I pushed against. Now, as I take a look around my computer desk, at my purple Kindle cover, my purple post-it notes, my purple computer mouse, etc., I’ve learned to embrace what I love no matter what I think others might interpret from it. So while I love epic high fantasy tales and intricate, politically driven space opera, I’m also not afraid to shout my love of contemporary and historical romance novels with their happily ever afters. In embracing that love, I’ve learned a lot about how to create real, well-rounded relationships in my own storytelling. It all boils down to time, doesn’t it? You can’t measure speed without it. Like everything else, time has a price. When you’re working full-time, writing at least one book a year, managing two blogs, and trying to maintain at least some semblance of health, time isn’t free. I had to learn that it’s okay to say no to things that might be “easy” on my end but would still cost me precious time. It can be frustrating and guilt-inducing, but the best thing possible for a creative’s mental and physical health is sometimes to NOT take every opportunity that comes along. I wish I was the sort of writer who could sit at a computer for hours on end and crank out the words. Instead, I’m a huge fan of the concept of “writing sprints.” Set a time for as little as 5 and as many as 30 minutes and write as fast as possible until the alarm blares. Then get up and do something else for a bit, preferable a task that does not include the computer. My best writing day ever was 3500 words. I also cleaned every window in my house. Favorite Muppet? Grover! Ironic, considering I’m not always a cheerful person. Crunchy or Creamy? Crunchy chocolate sprinkles on toast. Creamy peanut butter in cookies. Favorite Sports Team? I married into a Brazilian family, and the World Cup is currently happening. I am legally obligated to answer with the Brazilian Men’s Football Team. Cake or Pie? New York style cheesecake. Preferably one I made myself. Lime or Lemon? Lime, as long as it’s in a caipirinha. Winter, Spring, Summer, or Fall? Summer! Favorite Pet? 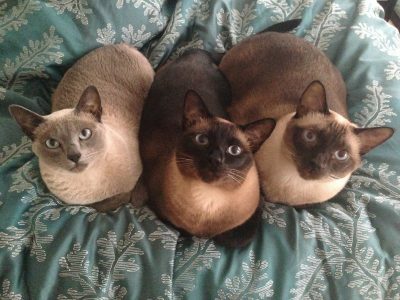 I live with three amazing Siamese cats who definitely remember their species were once worshipped as gods. Sci-Fi or Fantasy? Both. At the same time. Rob’s Answer: To play for the Dallas Cowboys. To fly an X-Wing. To be a paladin of legend. I’ve always been partial to fantasy. 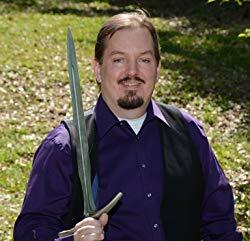 I regularly post book reviews, LEGO builds, and author interviews at www.jlgribble.com. I’m also the film review editor for www.SpeculativeChic.com. My schedule for the rest of 2018 includes Pittsburgh’s Confluence in at the end of July, Salt Lake City’s FanX Salt Lake and Washington DC’s Capclave in September, and Baltimore’s ChessieCon in November. By day, J. L. Gribble is a professional medical editor. By night, she does freelance fiction editing in all genres, along with reading, playing video games, and occasionally even writing. 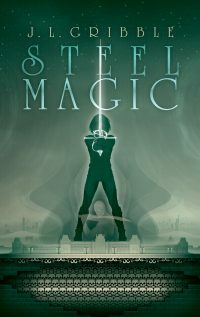 She is currently working on the Steel Empires series for Dog Star Books, the science-fiction/adventure imprint of Raw Dog Screaming Press. She is also the film review editor for SpeculativeChic.com. 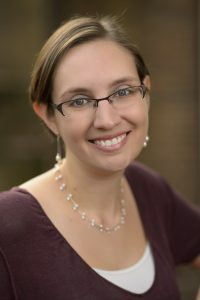 Previously, she was an editor for the Far Worlds anthology. You should have asked when is your next book release? People keep congratulating me on finishing my book trilogy. LITTLE DO THEY KNOW: Book 4 in the Steel Empires series, Steel Time, will be released September 2018 from Dog Star Books. 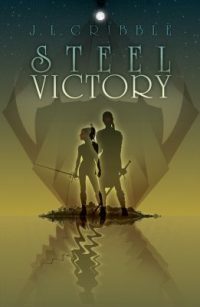 Steel Time brings together the leading ladies from Steel Victory, Steel Magic, and Steel Blood as they encounter a literal race against time. The cover reveal is coming soon, so readers have plenty of time (haha, see what I did there?) to catch up on the three previous books! I first met Rob Hobart in the mid-90s when I was often going to gaming conventions. He was one of the best DMs around working with Living City and the RPGA. He, along with Parvez Yusufji, gave me one of my favorite role-playing experiences ever. At a Weekend In Raven’s Bluff I hosted in Wichita mumblety years ago, they DMed a Cthulhu scenario using two parties of six, one on a boat, the other on a submarine, with each group only communicating by walkie-talkie. We all died, of course. Cthulhu is like that. But man, that was fun. 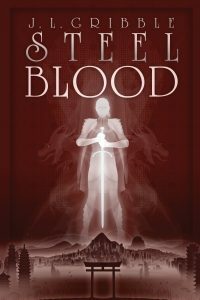 After many years working in the RPG hobby and industry, primarily for Call of Cthulhu and Legend of the Five Rings, I’ve decided to move on to writing fiction – which is actually what I intended to do back in my college days, before I got distracted by those pesky games. J I’ve recently self-published my novel The Sword of Amatsu, the first volume of an epic fantasy set in a samurai-themed world. 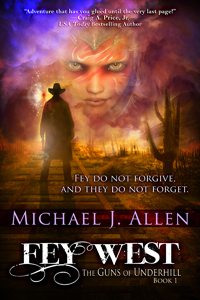 I’ve always had a taste for adventure stories – whether fantasy, sci-fi, thrillers, or otherwise – that have more serious and sometimes tragic themes. This probably goes back to my lifetime interest in history, especially military history. Even in gaming, the RPGs I was drawn to most strongly were the ones rooted in history and that took danger, death, and Evil seriously. On the other hand, I reject nihilism, and I don’t care much for the “subvert for the sake of subversion” trend that I see in a lot of recent storytelling, fantasy and otherwise. I write stories that incorporate tragedy and suffering, but that nonetheless seek to evoke heroism and virtue. Both of the five-year organized-play campaigns I created for Legend of the Five Rings were built around this duality of tragedy and heroism, and I am trying to do the same thing in my fiction. For me, actually getting started writing is always the hardest part. I can tell stories in my head all day long, but forcing myself to just sit down and write them is often incredibly hard. During my time working on Legend of the Five Rings, it was usually the hard reality of deadlines that forced me to overcome this obstacle and actually get work done. As a self-published writer I still wrestle with this challenge, and have developed a variety of tricks – such as posting word-count updates on my FaceBook page – to try to create a sense of obligation that will keep me from procrastinating into oblivion. In my early days of writing, during and right after college, my other big challenge was in writing characters who were markedly different from myself, especially female characters – like many young men of a nerdly persuasion, I was hapless at dating. I actually wrote two entire novels then which were unpublishable (though proving to myself that I could write entire novels was valuable) and the flat, shallow depictions of women and relationships in those books makes me cringe now. This weakness was partially solved by sheer practice, and partly by marrying and having a daughter. I think my strength, when I’m writing at my best, is found in evoking a strong emotional response from the audience. The second Legend of the Five Rings organized play campaign I ran ended with a room of a hundred people crying and cheering, which was exactly the result I was hoping for. So far, if reader feedback is to be believed, I think I’ve managed to do the same with my fiction. One of my touchstones in this regard is actually drawn from the (in)famous anime Neon Genesis Evangelion. That story as a whole was – at least in my view – a hideous evocation of cruelty, nihilism, and despair. But the “Asuka awakens” sequence in the final Evangelion movie, in which she regains her mojo, connects to her long-lost mother, and annihilates the invaders – all to the accompaniment of glorious, triumphant music – is a brief divergence into a different and infinitely better movie, one in which heroism and virtue would have redeemed the whole series. A lot of what I’ve written over the last fifteen years has been an attempt to create a story like the one that scene should have belonged to, and to evoke the emotional response that scene creates in first-time viewers. Whisky or Whiskey? – Yuck! Favorite 1970s TV show? – None. They were all terrible. Favorite Pet? – Sweety, a mixed-breed dog I got when I was 9 years old. Best Game Ever? – Legend of the Five Rings, of course! Rob Hobart is a lifelong fan of fantasy, science-fiction, Japanese pop culture, role-playing games, and military history. 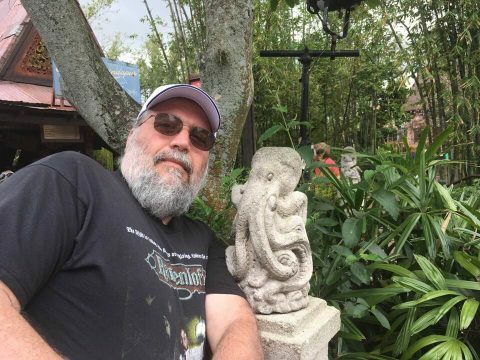 He worked for eight years in the role-playing game industry, serving as line editor, co-designer, and eventual Lead Design of Legend of the Five Rings 4th Edition. He lives in rural Missouri with his wife and daughter. He may, or may not, also be the immortal 4th Earl of Buckinghamshire.